Director Uwe Boll may be retired from filmmaking, but that doesn't mean someone can't make a movie about him. 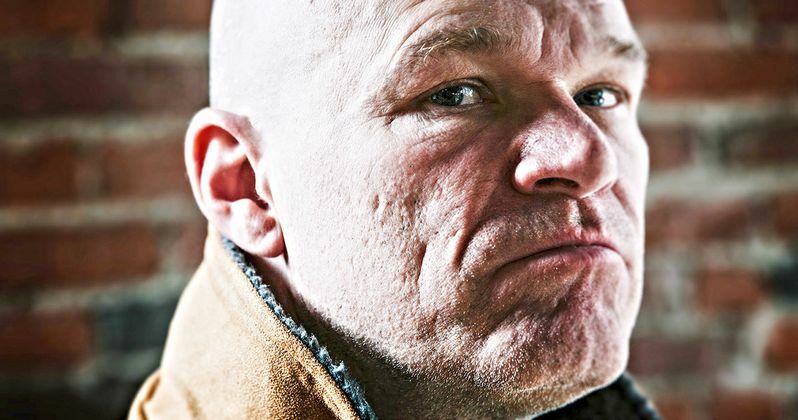 Case in point, we bring you the trailer for F*** You all: The Uwe Boll Story. Anyone who is even vaguely familiar with the outspoken and controversial filmmaker's work should instantly recognize that as a fitting title for an exploration of his career and the trailer itself looks like this should be a pretty fascinating deep dive into the prolific man who is responsible for a whole lot of famous schlock. The documentary comes from Sean Patrick Shaul and is seemingly coming out of nowhere. There is no word on a release date just yet, but the trailer arrived online recently and isn't shy about showcasing the good, bad and the ugly of his career. It doesn't paint him in a particularly kind light. Though, based on the accounts of those who worked with him over the years, it does seem to be accurate. Here's the first bit of the documentary's very lengthy synopsis that gives us some idea of what to expect. "The question at the center of Uwe Boll's story has existed since early on in his career: Is Uwe the worst filmmaker of all time? F*** You All: The Uwe Boll Story is a documentary that explores the unique life and career of the notorious renegade filmmaker. Through personal interviews with Uwe Boll himself, the people who have worked faithfully alongside him, his harshest critics and everyone in-between, this film offers an entertaining and somewhat shocking portrait of this lightning rod of the film industry." Perhaps this whole thing is summed up best by Boll himself when, at one point, he simply says, "I don't have a lot of respect to other people." Despite being difficult to work with, divisive and downright offensive at times, the man had a prolific career. He directed 32 features, produced more than 50 and is credited with writing 19 screenplays. The question of quality is another thing entirely, as he's responsible for such movies as Bloodrayne, In the Name of the King and Blubberella. Boll is also behind controversial movies like Rampage and Postal. The rest of the synopsis provides a bit of background on the man's career, for those who may be less familiar with his work. "Honing his craft as an indie filmmaker in Germany in the early 90s, Uwe Boll never could have imagined the life that would lay itself out in front of him. He has experienced a storied career that has led to such highs as working with Oscar-winning actors and making films with 60 million dollar budgets, and has reached such lows as having actors publicly disparage their films with Boll and online petitions for him to stop making films reaching hundreds of thousands of signatures. None of this stopped Uwe from continuing to put out movie after movie, totaling 32 feature films before retiring and opening a successful high end restaurant. Already a cult legend, Uwe Boll will be remembered forever in the film world. Some will remember him as a modern-day Ed Wood, who made films so bad, they're good. Others will remember him as the prolific filmmaker who came from a small town in Germany and never compromised his integrity while he created his own path in Hollywood." Love or hate Uwe Boll, this looks like a pretty fascinating exploration of an uncompromising filmmaker. Even those who are completely unfamiliar with his work can probably watch this trailer and see why Boll is a figure worth examining so closely. Be sure to check out the F*** You all: The Uwe Boll Story trailer from the Sean Shaul YouTube channel for yourself below.